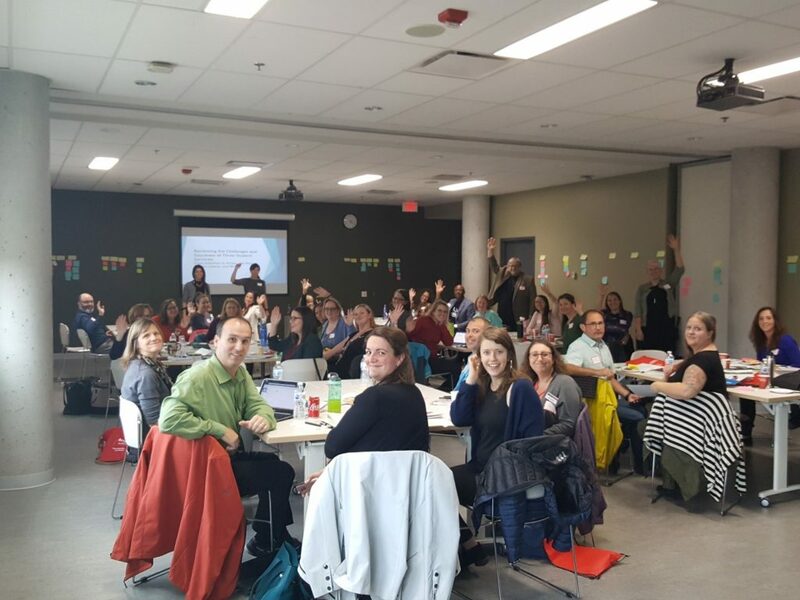 The Centre for Innovation in Campus Mental Health (the Centre) held its first Ottawa Regional Forum at Algonquin College on Sept. 25, 2018, to encourage collaboration and partnership building between local campuses and community mental health organizations. Despite the recent tornadoes that touched down in the Ottawa area, over 50 participants from 20 campuses and organizations participated in the problem-solving exercise. They discussed solutions to key issues impacting their campuses, students or clients and identified common areas of concern such as improving referral pathways, securing funding for mental health programs and increasing communication amongst internal and external partners. Participants were also invited to present on their own services, to ensure better understanding of possible new referral partners and collaborations. Speakers included representatives from the University of Ottawa, Algonquin College as well as CMHA Ottawa who spoke about Talk Today, a sports and mental health program. In all, the day with a huge success. This forum is one of a series across the province hosted by the Centre, which is housed at CMHA Ontario and strives to help Ontario’s colleges and universities enhance capacity to support student mental health and well-being.